Why not get creative? 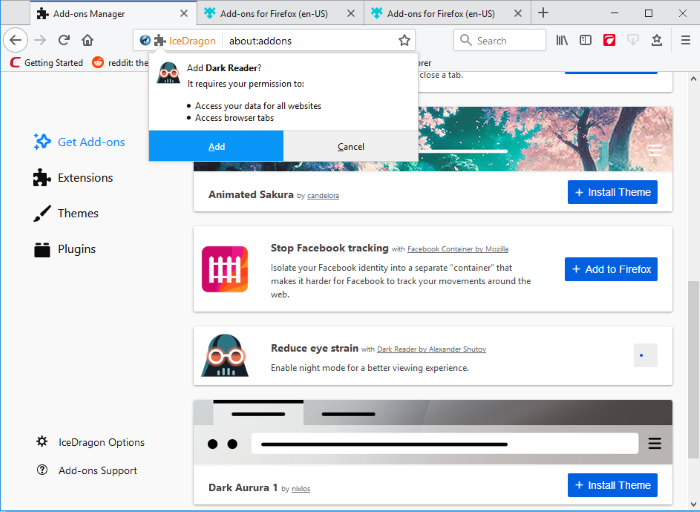 Personas and themes let you change the entire look and feel of Comodo IceDragon. Once you find a theme that you like, click on it to go to its download page. You can easily choose which persona or theme you want by clicking the 'Themes' link in Get Add-ons tab. Click '+Install Theme' to use a Theme or Persona, Personas will be applied immediately. To restore the browser to default Theme, click 'Disable' in the row of currently applied Persona or Theme. To remove a persona or theme permanently, click 'Remove' on its row.